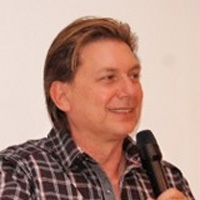 Pastor Patrick Massaro founded Miracle Life Church located in Phoenix Arizona in 1994, where he currently serves as Sr. Pastor. Serving for over 30 years in ministry, Pastor Patrick ministers nationally and internationally in over 20 countries. His scope of ministry includes; building up local churches, mentoring ministry leaders and speaking for conferences worldwide. Pastor Patrick moves in the gifts of the Holy Spirit, prophesying, teaching and demonstrating the power of the gospel of Jesus Christ. Pastor Patrick traveled internationally with Dr. T.L.Osborn and saw thousands touched by the power of God. He is recognized as a Prophet to the nations giving accurate words in season to ministry leaders and conducts miracle services where verifiable creative miracles of healing and deliverance have taken place. Pastor Patrick has been a regular host and guest on Christian television stations nationally and internationally. Recently, Pastor Patrick is ministering in Africa, France, Asia, and the United States building up the body of Christ and touching many with the love of Jesus.